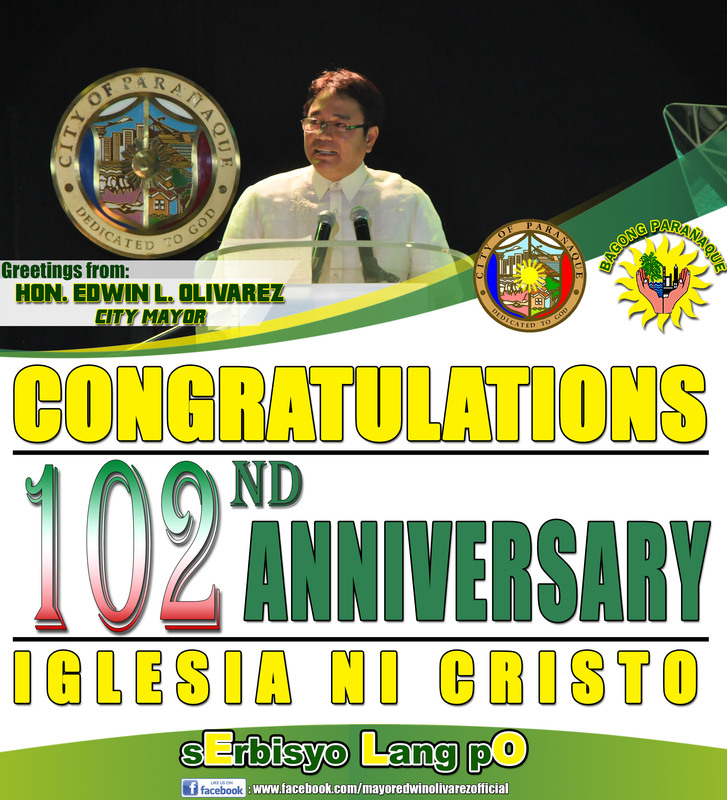 The Provincial Government of Bulacan through the Public Employment Service Office (PESO) and Workers Education Division (WED) of the Philippine Overseas Employment Administration signed a memorandum of agreement (MOA)in order to achieve an Illegal Recruitment-Free Bulacan yesterday at the Hiyas Pavilion, Hiyas ng Bulacan Convention Center in this city. Among the stakeholders who signed the MOA were Gov. Wilhelmino M. Sy-Alvarado, Philippine Overseas Employment Administrator Hans Leo Cacdac, Overseas Workers Welfare Administrator Rebecca Calzado and Technical Education and Skills Development Authority Director Teodoro Gatchalian. Alvarado said that this will help fight illegal recruitment in the province that causes some Bulakenyos to suffer financial difficulties. “Yung mga ganyang panggigipit sa mga tao para makalamang ay nagpapahirap pang lalo sa mga kalalawigan natin at natutuwa tayo na pinaglalaanan ito ng panahon. Ang pinapaalala sa atin dito, lumaban tayo ng patas because nothing good will come out from a bad intent,” Alvarado said. 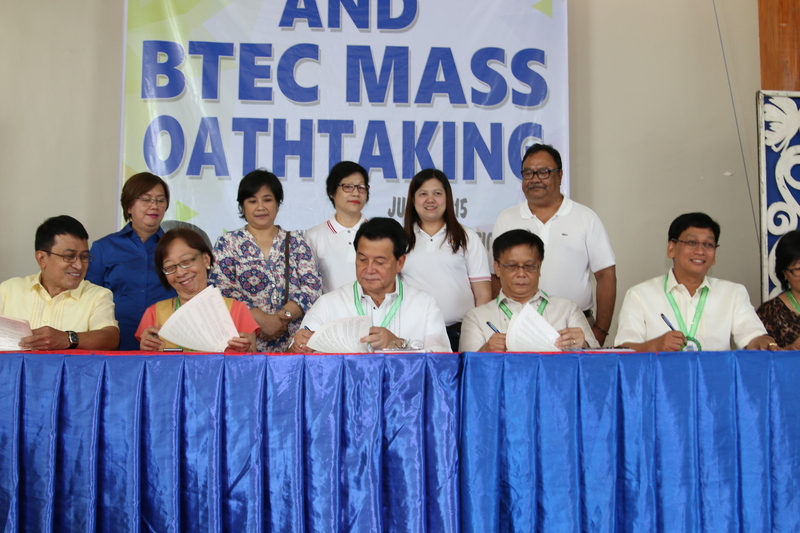 The Barangay Training and Employment Coordinator (BTEC) mass oath taking was also held wherein officials and members were oriented of their responsibilities. Also, the OFWs Family Circle Federation took their oath to help fight illegal recruitment. 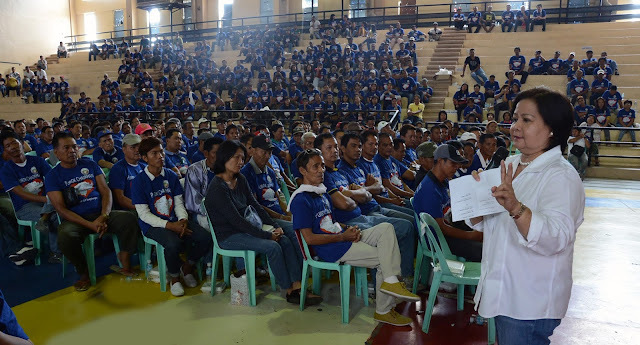 Provincial PESO Manager Elizabeth Alonzo talked about the responsibilities of PESO Managers and BTEC in each town and city to help achieve a province free from illegal recruitment. “If they are offering salary and other benefits that you think is too good to be true, hindi po ‘to totoo, and there are various ways to know kung illegal recruiter ba sila, pwede nyong tingnan sa website ng POEA at ng PESO,” Alonzo said. Antonio Mutuc of the Department of Labor and Employment (DOLE) also discussed their programs about career guidance, implementation of website for an easier access to job hunting for fresh graduates and unemployed. Kabuhayan Starter Kits were also distributed for the BTEC Skills Training graduates.